Eastern Europe’s logistics sector has recorded stellar growth rates over the last year, but more is needed to challenge the west’s market dominance and mitigate looming less-than-favourable conditions, according to new research from Transport Intelligence. The analyst’s Leading European Transport and Logistics Markets report shows particularly strong contract logistics activity, with the former Soviet bloc countries seeing almost 5% growth last year. Sea freight operations also fared well, with Serbia up 10.6%, Romania (+9.4%) and Hungary (+9.7%) growing almost twice as fast as the west’s strongest market, Belgium (up 5.7%). The other mature markets of Western Europe recorded average contract logistics growth of just 1.8% over the same period, with Ti citing a weakened consumer/retail and manufacturing industries. However, with Western Europe accounting for more than 90% of contract logistics activity – Germany dominating – the eastern countries have a lot of work on their hands to increase market share. In particular, Ti says, east European countries would need to address poor infrastructure, political corruption, lack of competitiveness, staff shortages and – in Romania’s case – low productivity. On Romania, the report claims: “Shortage of staff is a significant issue for the logistics sector, with increasing emigration exacerbating the situation in the labour market. 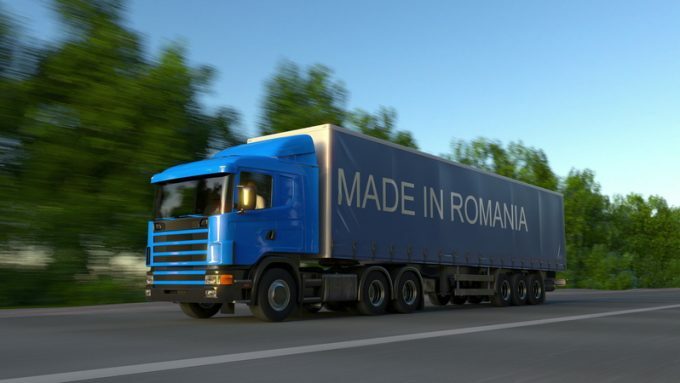 Despite these concerns, Ti expects strong annual growth rates across Romania’s logistics business, with the value of its road freight sector anticipated to grow by almost €1bn by 2020. This bodes well for a country that could be caught up in less-than-favourable conditions facing the wider European economies over the next five years. “Looking ahead, the IMF expects real GDP growth rates in each year from 2018 to 2022 to be between 2.1% and 1.6%, with growth gradually slowing down over the period,” it says.